To celebrate the release of the next book in Moira Young's Dust Land series, Rebel Heart, two lucky winners will receive a Dust Lands prize pack, including a custom t-shirt and a copy of Rebel Heart! 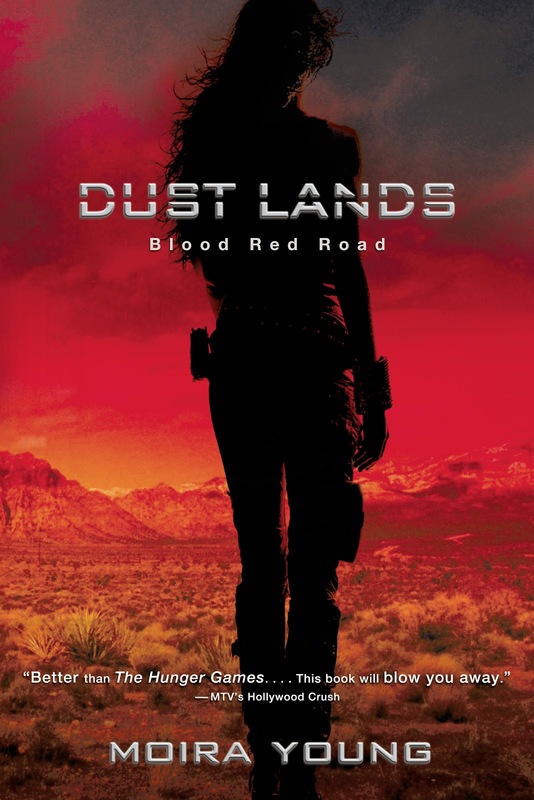 About Blood Red Road (Book 1): Saba has spent her whole life in Silverlake, a dried-up wasteland ravaged by constant sandstorms. The Wrecker civilization has long been destroyed, leaving only landfills for Saba and her family to scavenge from. That's fine by her, as long as her beloved twin brother Lugh is around. But when a monster sandstorm arrives, along with four cloaked horsemen, Saba's world is shattered. Lugh is captured, and Saba embarks on an epic quest to get him back. Find out more about the Dust Land series here! To enter the contest, just fill out THIS form! This contest is US only, and ends November 9. 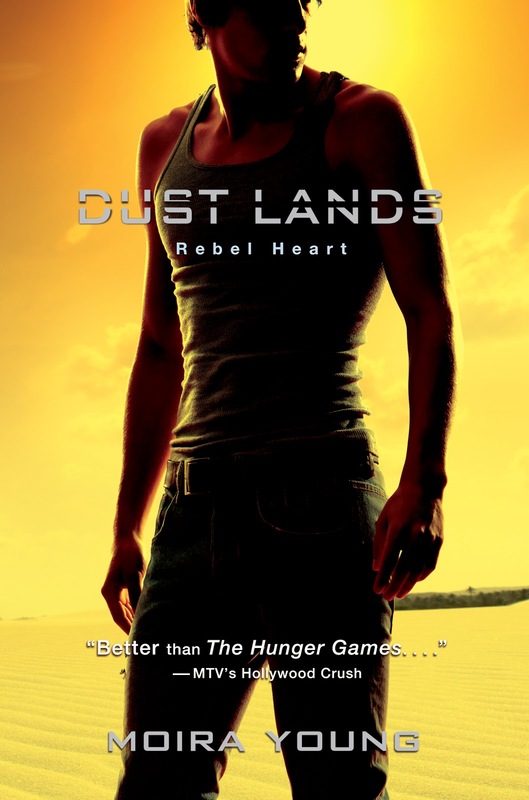 And don't forget to enter the Rebel Heart giveaway hosted by SimonTEEN for your chance to win the first two books in the DUST LANDS trilogy by Moira Young. The giveaway ends on October 31. Enter here! I loved Blood Red Road and I hope Rebel Heart lives upto my expectations.